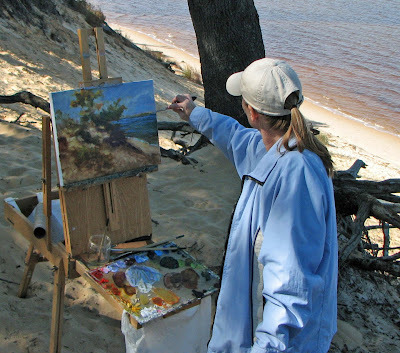 On location, out in nature, artist Jill Berry works with oil paint and a palette knife to produce her impressionistic landscapes. 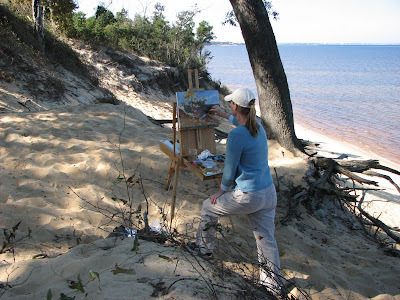 She shares insight regarding her INSPIRATION and INTERPRETATION of the local environment in NW Florida. Fueled for adventure with crepes and coffee, I prepared to set up near the shore, when Kay pointed to a path leading to the "Bluffs". So with only camera in hand I made my first expedition, then when I saw the view, knew I'd have to make the hike again with my gear. 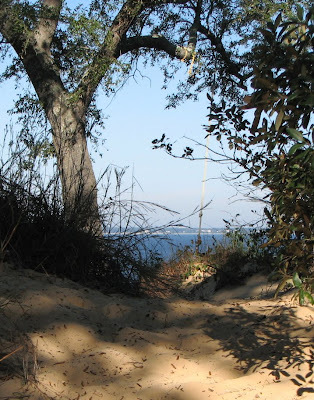 Most of Pensacola is just a notch above sea level, so I didn't know such a place existed here. 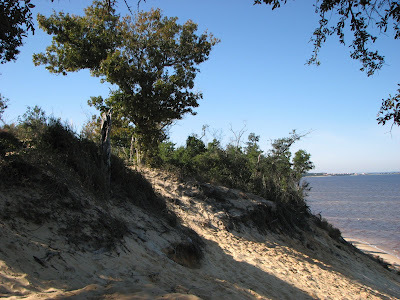 Now if you had mentioned "the Cliffs" in my hometown in KY, it was understood you'd been out on the lake engaging in feats of bravery...jumping, flipping or diving. Jill, I love this post. Your painting is lovely. I've been trying to figure out where the location of the bluffs. Are they the ones off of Scenic Highway? Back in my hometown if you had mentioned the Cliffs, you would be walking along the famed Cliff Walk in Newport, RI. I'm glad you mentioned Scenic Hwy. I should scout out a painting site over there. This spot is actually in your neck of the woods. 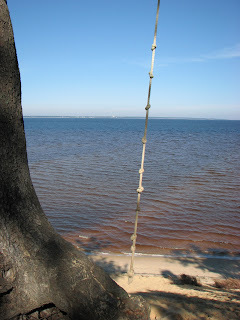 From Garcon Pt bridge...toward Gulf Breeze...not too far from IHOP...same side...It's the North Park of that National Seashore (facing the Bay). Your paintings are always so much better than the photo. Love the brushwork in the tree. Jill I love how you can take such a scene and turn it into a beautiful painting...great color! What a beautiful beautiful painting. the light in this one is so perfect. And now you have another chance to wear your swimsuit while painting. Lovely painting Jill! The light has been captured so well. pudgesinI always jump when somebody shows me a place of beauty, I mean serene beauty, as artists, is on our hand, more or les, the ability to discover hiding treasures or simple imagine and put there in any available site, what happens there is, your heading explorer self, is rewarded for the effort invested and we rewarded to, for your execution and interpretation of your painting. I take note of that discovery in case I fall around on this corner of the woods and enjoyed to. Worth a detour. Great blog you have, glad to have found it. Best of luck with the painting. Beautiful! 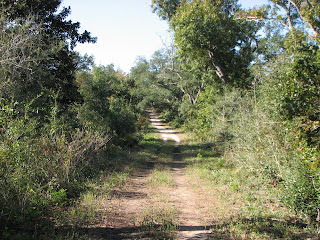 Love the sunlit path... so inviting! Beautiful work..use use of warm and cool colors makes it strong. Wonderful painting. I half closed my eyes and noticed that you have got the tones spot on, well done. And again thank you for posting your photos, they are brilliant. All the best Jill. Jill, this is a wonderful work! It reminds me on the cliffs of the eastern sea in Germany. In this summer, I want to vistit "Ahrenshoop". It´s an old and beautiful small fishers village, where a lot of artists lived and worked (1905 - 1940). I hope, that I can be part of this "inspiration" in the summertime:-)) Greetings from Luzia. As always, the painting is such an incredible depiction of the scene. I've passed the Sunshine Award on to you. Please go to my blog to get it. Thanks everyone for sharing the ~love~ this week with your friendly comments. Welcome to the NEW readers! 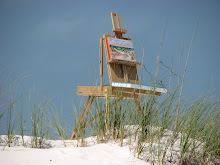 the concept of the artist exposing hidden treasures... that's a great job description! Wishing you travels soon. Luzia- I do hope you get to visit there for inspiration this summer! Susan- So true... 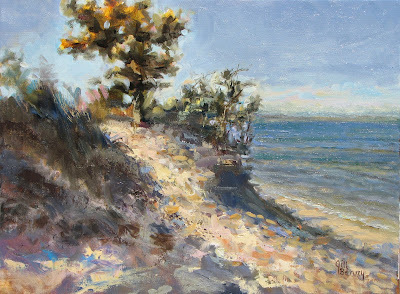 It was difficult for me to put the camera down & choose which view to paint. Pam- Thanks for the honor...so sweet. 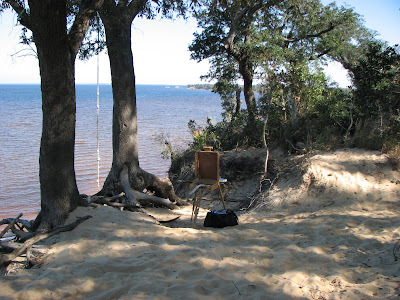 Plein Air Painting Journal is designed to share the experience of painting in the great outdoors.